Automotive paint protection from Sun Stoppers will protect the paint on your vehicle. Automotive paint protection is the finishing touch your vehicle needs to protect your paint from harsh weather conditions, acid rain, stones, sand, road debris and bug acids. There is no need for uncontrollable aspects to devalue and damage your investment. Contact Sun Stoppers of Concord and ask one of our specialist about the automotive paint protection options available to you. Automotive paint protection also called clear bra, is a protective film that is applied to the surface of your vehicle to protect it from uncontrollable damages and harsh weather conditions. Automotive paint protection film can be applied to your entire vehicle or just on high risk areas such as bumpers, hoods and door handles. Automotive paint protection film prevents harsh weather conditions, acid rain, stones, sand, road debris, bug acids and bird droppings from damaging the paint and decreasing the investment you made in your vehicle. Automotive paint protection film is very lightweight and almost completely invisible so you will never know it’s there, all the while protecting your paint from minor scratches and fading. 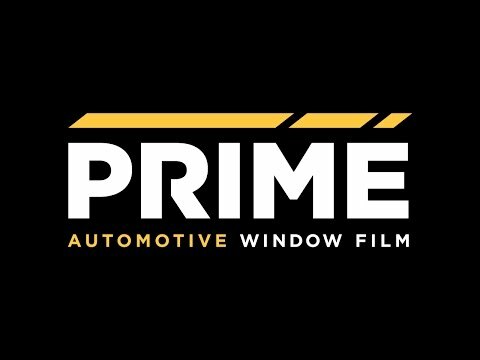 This highly technologically advanced film absorbs light scratches and scuffs that can age the appearance of your vehicle. Contact Sun Stoppers of Concord to ask about the automotive paint protection options available to you. Put the finishing touches on your investment by having automotive paint protection film applied to your vehicle by the professionals at Sun Stoppers. Click here for a free Paint Protection Quote. All our automotive paint protection installers are XPEL certified. XPEL ensures their automotive paint protection films will provide the superior protection you 're looking for and need for your investment. XPEL only allows highly trained and experienced professionals to apply their products. Contact Sun Stoppers to inquire about your XPEL automotive paint protection film options. Protecting the paint on your car is simple and virtually invisible. This urethane film protects your paint from uncontrollable damages and increases your trade in value. XPEL ULTIMATE PLUS is self healing, stain resistance and provides superior optical clarity. This beautiful satin finish automotive paint protection film creates a matte look while providing the protection you need. Look sharp and stylish with a satin finish option of the same proven clear polyurethane as our XPEL ULTIMATE film. XPEL automotive paint protection film creates a safeguard that protects the paint on your vehicle. 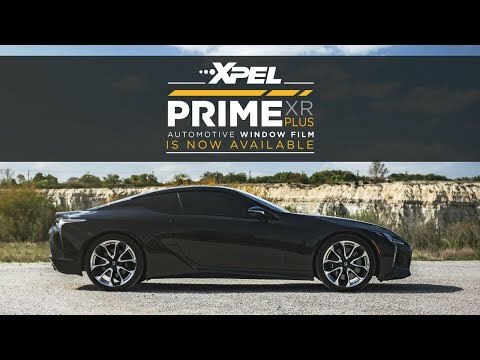 XPEL’s crystal clear, energy absorbent polyurethane film is computer cut from a database of precise templates customized to fit your vehicle. Automotive paint protection film is only installed by professionally trained and experienced paint protection installers at Sun Stoppers. As soon as the film has adhered to the paint, it starts to protect and preserve. Automotive paint protection film prevents peeling, cracking, fading, aging, yellowing or blistering damage. Contact Sun Stoppers to schedule an appointment or to find out your options when it comes to protecting your investment. Standardized automotive paint protection films can yellow or scar after only one year. XPEL ULTIMATE PLUS ensures quality and resistance for years to come. XPEL ULTIMATE PLUS automotive paint protection film was create with a combination of advanced elastomeric polymers that prevent the film from discoloring, yellowing or hazing. This exceptional film has the technology to rejuvenate itself from swirl marks and light scratches. Protect your vehicle from harsh weather conditions, acid rain, stones, sand, road debris, bug acids and bird droppings. Damage caused by chipping, peeling, over exposure to sun, harsh climates and weather conditions will no longer be a worry. Protecting the paint on your vehicle with the best automotive paint protection film on the market, installed by the experts at Sun Stoppers is the only way to ensure a clean application with quality products. XPEL STEALTH is a satin finish automotive paint protection film with the same features that are provided with XPEL ULTIMATE PLUS. This film gives your vehicle a pristine matte look while providing all the protective features of other paint protection films. Look sharp and stylish with the application of XPEL STEALTH automotive paint protection film. Change the entire appearance of your vehicle by having your glossy finish changed to a matte finish with the application of XPEL STEALTH paint protection film. Look fresh and clean without an overly expensive and permanent paint job. Protecting the paint on your vehicle with the best automotive paint protection film on the market, installed by the experts at Sun Stoppers is the only way to ensure a clean application with quality products. XPEL’s teams of product engineers work on a daily basis to create design templates for new vehicles, these products are then immediately available in the software the instant they are completed. To see what options are available for your vehicle click here.